Our mission is to be the best fishing line company on the web to help you spend more time fishing. Everything we do is aimed at providing you with excellent service, fast shipping, and a great brand direct product. 50 yard spools of Fluorocarbon are something you should always have in your tackle bag, or tackle center. They convenient since they are small and easy to handle. 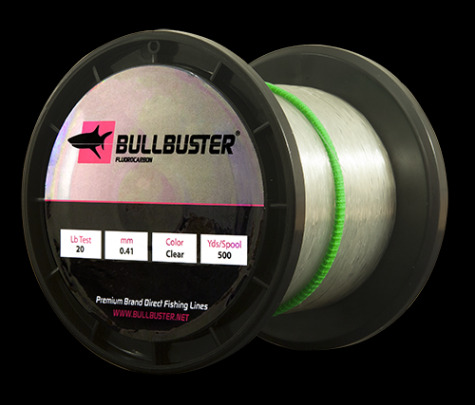 Our 50 Lb fluorocarbon fishing line is 0.68 mm in diameter. 500 yard spools of Fluorocarbon are great for serious fishermen. By buying in bulk you not only save money but you are also saving time. Take advantage of our 500 yard bulk spools of 50 Lb Fluorocarbon fishing line and make your leaders before you head out on the water. Everything You Ever Needed To Know About Fluorocarbon Fishing Line - This article goes in depth into why fluorocarbon is a go to line for many anglers. The Best Knot For Monofilament To Fluorocarbon - The number one knot in our book for connecting monofilament fishing line to fluorocarbon line. 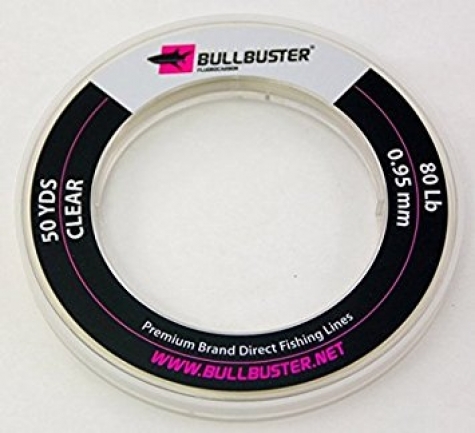 The Best Knot For Connecting Braid to Fluorocarbon - This is the number one knot in our book for connecting monofilament fishing line to fluorocarbon fishing line. 10 Benefits Of Using Fluorocarbon Fishing Line - This article talks about 10 benefits of using fluoro, or Fluorocarbon Fishing Line. Our fishing lines are spooled in Miami, Fl.